“All my products contain the cleanest organic ingredient deck. I only use the finest oils with the organic percentage in line with the Soil Association organic guidelines. In all, we could make a far cheaper, inferior product and make a way higher margin (way, way higher!) but choose not to. I put my name to every label and stand by the ingredients because I am so proud of the product and genuinely want to change the market place – from day one it has been about making pure, natural soap accessible to all. That is what gets me out of bed in the mornings.  In all the supermarkets we are in, Little Soap Company was the first organic bar soap to line their shelves – and to enable this choice of having an organic alternative for consumers to happen, amid their weekly shop has been a huge drive to do what I do. Labels on cosmetics are so important. I always say, as a general rule of thumb, if you don’t understand the INCI ingredients list on skincare it usually precludes a signal to potential “danger”, however, there are a few ingredients, that when you see them, you can scan right past them, knowing they won’t hurt you—and may even be good for your skin. Legally, to comply with legislation we have to list ingredient names on the labels in Latin, so immediately the purest ingredients resemble the most difficult-to-pronounce, chemical sounding names (eg jojoba oil is known as ”simmondsia chinensis” and “ascorbic acid” is another name for vitamin C, or vitamin E’s are called “tocopherols” or “tocotrienols” etc). So don’t necessarily panic if you see something that sounds “chemical” on an organic ingredient. Certainly not in our products. I have listed all below so you can use as a glossary. Lauryl Glucoside which we use in some products for example is a “surfactant”. But bear with me, surfactant simply means a cleanser. Castor oil a non ionic surfactant just the same – as is any oil. The muddle here is the terminology of the traditional, chemically based toxic/harsh detergents/surfactants used widely in cosmetics and which we should avoid at all costs and the safe list *surfactant alternatives* which we replace them with in organic, free from products. Lauryl Glucoside is a safer alternative to regular harsh sulfates, which are typically used in cleansers to make the formula foam up. It is formed in the lab by blending a mixture of alcohols with some simple sugars. The raw materials come from vegetables or coconut, and the resulting ingredient has a “zero” hazard rating on the Skin Deep Database. Preservatives: All skin care products found in shops contain one or more preservatives – otherwise they would quickly spoil. If any product (containing water such as a liquid or a home made mask or cream) truly is free from all preservatives, then they should carry clear instructions to store them in a fridge and use within 2-3 weeks. In our soaps all the preservatives we use are natural. Alcohol in skincare causes a lot of confusion. Most people assume this ingredient is bad for skin because it dries it out – which is partly true. It depends on the particular alcohol and the amount of it in a product. The only alcohol we use is Denatured Alcohol (alcohol denat) in our Foaming Body Wash. Most of the beauty advice about alcohol is negative. You are told to avoid alcohol. I say this too (but only when it comes to astringent toners). The problem with this rule is, alcohol is a really loose general term. There are actually different types of alcohol, each with very different properties. So calling alcohol bad for skin is inaccurate. Alcohol’s function may be as a solvent (dissolves something or thins out a mixture), emulsifier (allows two different substances to blend together), antiseptic (kills bacteria), buffer (balances the pH), stabilizer (prevents separation or unwanted reactions), preservative (minimizes bacterial growth or spoilage), penetration enhancer (improves delivery of an ingredient into skin), or fragrance fixative. So you see, alcohol is a versatile ingredient that can perform a range of functions. Simple alcohols are mostly used as an antiseptic – to give the product anti-bacterial qualities. They are derived from sugars, starches, and other carbohydrates. Simple alcohols are usually water-like. The type of alcohol that can dry out skin is SD Alcohol or Alcohol Denatured (abbreviated Alcohol Denat.) It may also appear as ‘Alcohol’ on a label. The alcohol in SD Alcohol is Ethyl Alcohol (Ethanol). It is also found in Rubbing Alcohol. This kind of alcohol (a low molecular weight alcohol) dissolves surface oil but dries out skin (because it evaporates very quickly). When skin is dried out by alcohol, the skin’s protective barrier is weakened, which opens up the skin to all sorts of issues, including the likelihood of more irritation. Although it is true that SD alcohol alcohol should not be applied ALONE to skin, but in combination with other ingredients, it may be perfectly fine. It depends on how much there is and what else is in the formula. It is hard to know exactly how much alcohol there is in a product, because the percentage concentrations are never given. The only thing you can do is look to see where it falls on an ingredient list. Ingredients are listed in order from highest concentration to lowest. But this is not enough information to draw a conclusion. The majority of a product typically consists of the first 6-10 ingredients. But even if alcohol is listed in the top 10, it doesn’t mean it’s drying. It depends on what else is in the formula. There might be some emollient or fatty ingredients that make the product non-drying. The best thing to do is try the product on your skin before you buy. Or read some online reviews by other people. I realize it’s not easy getting access to samples. But trying it on your own skin is really the only way to find out. Drugstore toners or astringents have a lot of simple alcohol because they are geared toward teenagers with oily skin. This is why you often hear people say alcohol is bad for skin. Astringent toners will dry out skin, which makes oily skin worse in the long run. Here are some ingredient lists that contain alcohol, which are circled in yellow. Although they contain alcohol, they are not drying. This is because of the other ingredients in the product. Fatty alcohols are the non-drying type. They have emollient and occlusive properties. Unlike simple alcohols, they tend to have a thick, waxy texture. Some are even solid. They are used to give products a smooth, velvety feel, which give products a nicer slip. Some fatty alcohols are occlusive, which makes them good for slowing down water loss. This kind of alcohol performs a similar function to a simple alcohol but has an aromatic fragrance. It functions as a preservative or as a component of a fragrance or essential oil. Benzyl alcohol is the most common one, but it can be an irritant if derived from an essential oil. So, there you have it. Just because an ingredient has the word “alcohol” in it doesn’t make it a bad ingredient. Don’t stress out about whether an ingredient has alcohol in it. I wouldn’t spend too much time looking for it in the ingredient list, unless you’re buying products for oily skin, which is where it is more likely to pop up. You’ll know right away if a product is drying out your skin simply by trying it. Just stay away from the drugstore astringents or any product labeled as an astringent. 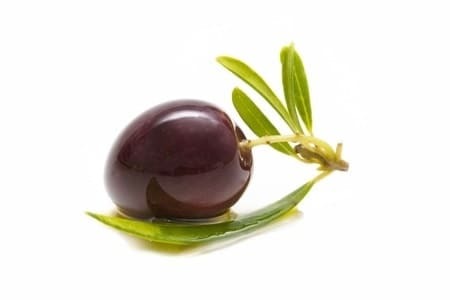 Extra Virgin Olive Oil contains antioxidants that when applied to the skin prevents premature aging. Vitamin E helps restore skin smoothness and protects against ultra violet light. 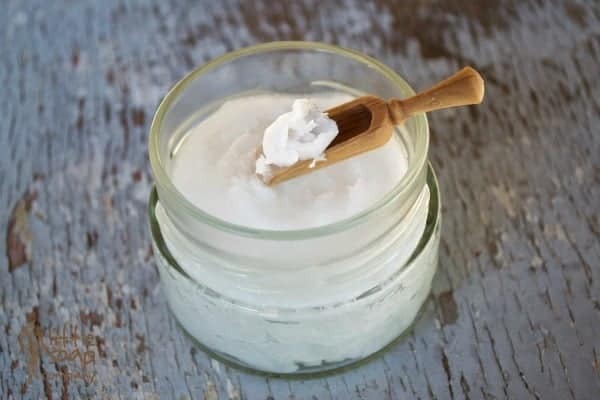 Coconut oil is an effective moisturizer on all skin types, including dry skin. It is a safe solution for preventing dryness or flaking of the skin. It also delays the appearance of wrinkles and aging skin. Sustainable Palm oil has the ability to remove oil and dirt from the skin, however it contains a beneficial fatty agent that helps restore skins natural oils. Its used in skin care products for anti- aging properties while providing deep moisture which leaves the skin soft and supple. In 2004, WWF helped set up the Roundtable on Sustainable Palm Oil (RSPO), a group that includes every link in the global supply chain, from growers and processors, to food companies, retailers and investors. 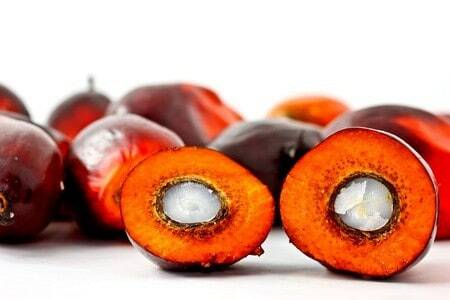 The first certified sustainable palm oil came on to the market in September 2008. Today, about 6.4% of all palm oil is certified sustainable and this is all we use in our hard bar soap and Foaming Body Wash, which uses palm for its properties. Our products are not contributing to the destruction of the rainforests. 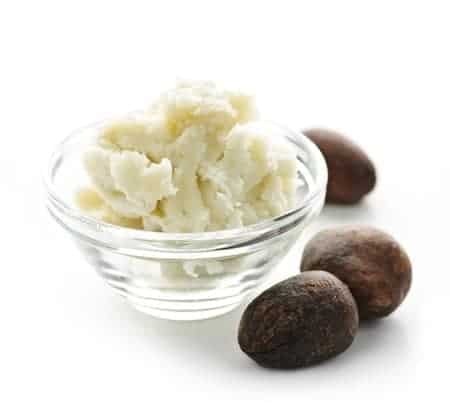 Shea butter protects the skin from sun and dehydration, one of the best anti aging agents for your skin. It stimulates the production of collagen, which is the youthful scaffolding protein in your skin. It makes skin supple, more alive, nourished and radiant. 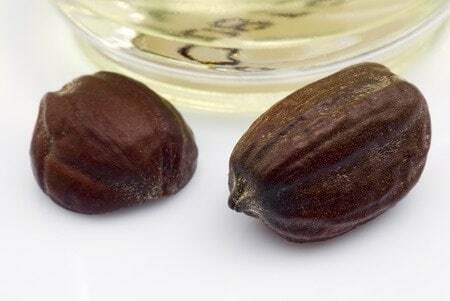 Jojoba oil is used on all skin types as a cleanser and wrinkle fighter. Its moisturizing and rehydrates mature skin. Good for treating psoriasis or eczema with anti -inflammatory properties. Castor oil fights off infection while having great anti-viral properties. Its an excellent anti-oxidant and contains compounds which help fight effects of aging. It can be used to cleanse, moisturize, soothe irritation and soften the skin. Apricot oil absorbs quickly in the skin contains vitamins A and C, suitable for all skin types especially dry and sensitive. Avocado oil is rich in vitamins and absorbs easily in skin. It is suitable for all skin types, relieves itching from psoriasis and eczema while softening and soothing the skin. 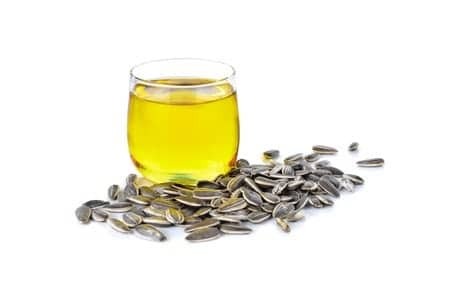 Sunflower seed oil has anti-inflammatory properties, and is rich in linoleic acid. These essential fatty acids maintain the skin barrier and lock in moisture. 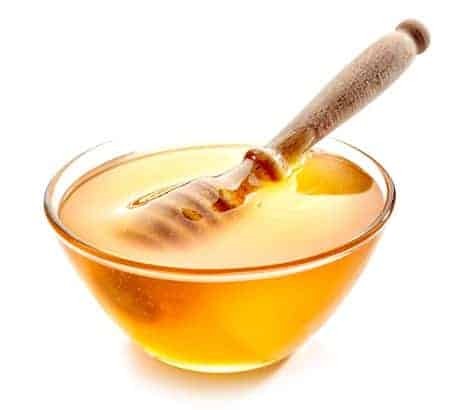 Raw Honey contains glycolic acid and a mild hydroxyl acid that brightens the complexion, evens out skin tone and lightens scars and age spots. In addition, its antiseptic anti microbial properties make it great for healing cuts and burns by killing bacteria. 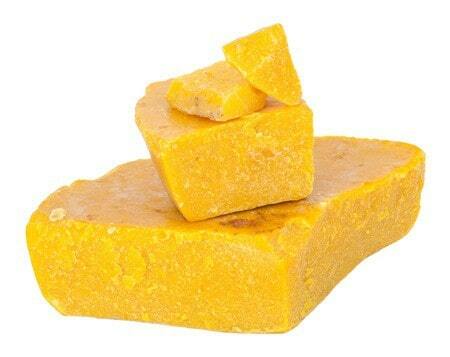 Beeswax holds in moisture and reduces dryness without clogging pores. It has antibacterial properties, which protect the skin and keep it clean. Naturally scented with a light aroma. Oatmeal calms and nourishes as it has anti-inflammatory properties. It is great for all skin types, especially sensitive skin. Natural exfoliator helps remove dead skins cells. 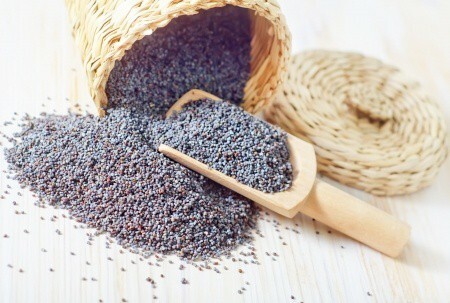 Poppy seeds are a good source of unsaturated fatty acids as well as minerals like calcium, zinc and magnesium. A good exfoliator, which will remove dead skin cells. Goats Milk is rich in essential fatty acids and triglycerides. The essential fatty acids are less irritating and more easily absorbed by our skin. These fatty acids and triglycerides are super moisturizing. It is loaded with Vitamins, particularly Vitamin A. Goat’s milk contains lactic acid, which is an alpha hydroxy acid. It gently removes dead skin cells and helps to hydrate and brighten the skin. Water is hydrating, it also rejuvenates and brightens skin. 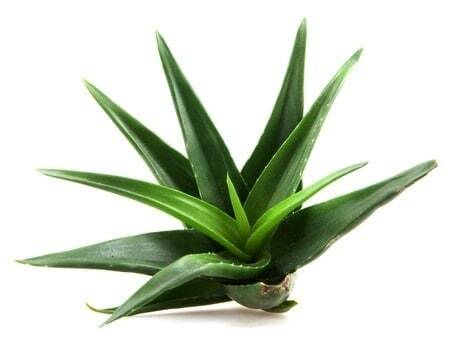 Aloe Vera is full of nutrients and used to treat many skin conditions such as burns, wounds and dry or flaky skin. It acts as a moisturizer. Salt helps to remove dead skin particles, tones up the skin tissues, encourages blood circulation, and helps skin renewal. Citric acid is good for treating several skin problems like mild acne, clogged pores, pigmentation and dark spots. It also has an antioxidant that reduces the process of aging. Glycerin is used on all skin types, especially helps treat oily skin that’s prone to acne or wrinkles. Very moisturizing while stimulating and rejuvenating skin cells. 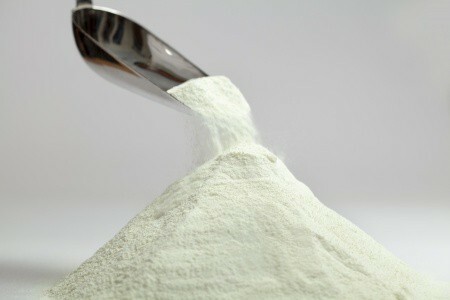 Coco Glucoside is a natural, non-ionic, surfactant. It is ultra mild, and one of the gentlest of the cleansing agents, making it ideal for all foaming and cleansing products, especially those designed for fragile or sensitive skin. Potassium Cocoate is the potassium salt of coconut fatty acid. It’s an all natural liquid surfactant made from 100% whole coconut oil and potassium hydroxide. Because of the flash foaming properties of potassium cocoate this product is great for use in liquid soaps, shampoos, and scrubs. Coconut Acid is a mixture of fatty acids derived from coconut oil, which is used as a cleansing agent. 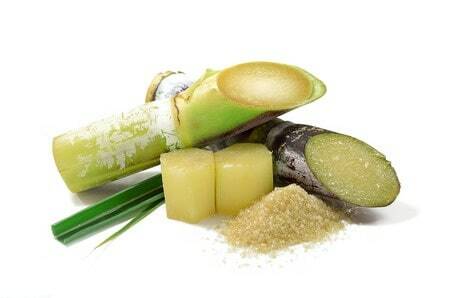 Sugar is a natural humectant, which means it draws moisture from the environment into the skin. Helps hydrate your skin and keep moisture within. Is used as an exfoliant to remove dead skin cells and leave skin glowing. Cocamidopropyl Betaine is very mild co-surfactant, good cleanser and foam booster. It’s a viscosity enhancer, excellent conditioner and anti static agent. It is basically a substitute SLS – we need to add something to the oils to make them foam to make a bubble bath, but rather than harsh toxic synthetics this it is an organic compound also derived from coconut oil and dimethylaminopropylamine which too is a safe, non toxic alternative surfactant. Potassium Citrate is a buffering agent, which minimizes the change in the PH. Potassium chloride is a thickening agent of the oil portion of products. Lauryl glucoside is a non-ionic surfactant that can be used as a foaming agent, conditioner or emulsifier. Lauryl glucoside has excellent foaming capacity and good dermatological compatibility. 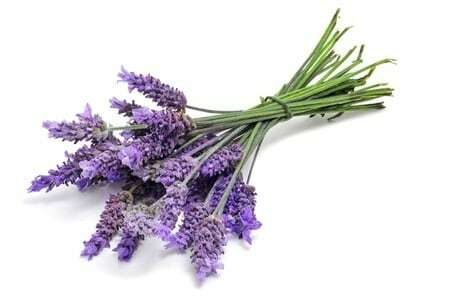 English Lavender essential oil includes the benefit to heal and accelerate cell growth. It is relaxing and relieves aches and pains. Supports the process of healing eczema, acne, bruises, stings and insect bites. Rose Geranium relieves depression and anxiety and is used to uplift sluggish and oily skin. Its antiseptic properties help with burns, wounds and other skin problems. Orange is great for nourishing dry, irritated or acne prone skin. Supports collagen formation in the skin, provides quick and effective relief from inflammation. Peppermint essential oil will boost your energy, treat acne prone skin and relieve headaches. Suitable for both oily and dry skin. 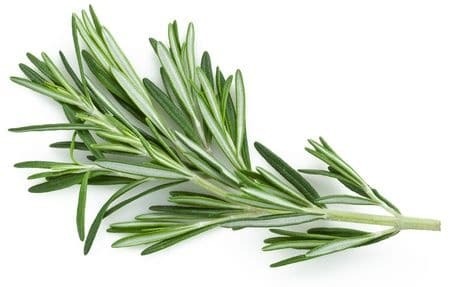 Rosemary is filled with nutrients such as iron, calcium, vitamins and antioxidants, it is suitable for all skin types. Rehydrates and tonnes, replaces damaged skin tissue. 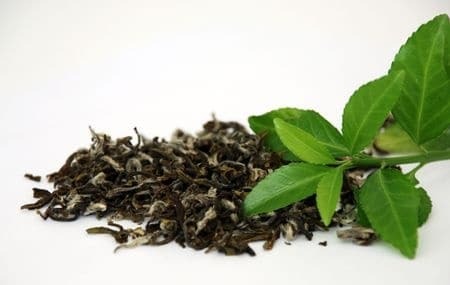 Tea Tree can treat minor wounds, encourage healing and prevent infection. Great for acne prone skin, doesn’t dry out or peel, gentle on skin. Ylang Ylang is very relaxing if you have anxiety or are stressed. It also balances oily and acne prone skin. Olive Oil (Sodium Olivate) Extra Virgin Olive Oil contains antioxidants that when applied to the skin prevents premature aging. Vitamin E helps restore skin smoothness and protects against ultra violet light. Organic Coconut Oil (Sodium Cocoate) Coconut oil is an effective moisturizer on all skin types, including dry skin. It is a safe solution for preventing dryness or flaking of the skin. It also delays the appearance of wrinkles and aging skin. Organic Palm Oil (Sodium Palmate) Palm oil has the ability to remove oil and dirt from the skin, however it contains a beneficial fatty agent that helps restore skins natural oils. It is used in skin care products for anti- aging properties while providing deep moisture, which leaves the skin soft and supple. Water (Aqua) Water is hydrating. It also rejuvenates and brightens skin. English Lavender Essential Oil (Lavendula Augustifolia) English Lavender essential oil includes the benefit to heal and accelerate cell growth. It is relaxing and relieves aches and pains. Supports the process of healing eczema, acne, bruises, stings and insect bites. Organic Oatmeal (Avena Sativa) Oatmeal calms and nourishes as it has anti- inflammatory properties. It is great for all skin types especially sensitive skin. A natural exfoliator, it helps remove dead skins cells. English Lavender Essential Oil (Lavendula Augustifolia) English Lavender essential oil includes the benefit to heal and accelerate cell growth, it is relaxing and relives aches and pains. Supports the process of healing eczema, acne, bruises, stings and insect bites. Organic Coconut Oil (Sodium Cocoate) Coconut oil is an effective moisturiser on all skin types, including dry skin. It is a safe solution for preventing dryness or flaking of the skin. It also delays the appearance of wrinkles and aging skin. Water (Aqua)) Water is hydrating. It also rejuvenates and brightens skin. English Lavender Essential Oil (Lavendula Augustifolia) English Lavender essential oil includes the benefit to heal and accelerate cell growth. It is relaxing, and relieves aches and pains. Supports the process of healing eczema, acne, bruises, stings and insect bites. Tea Tree Essential Oil (Maleleuca Alternifolia), Tea tree can treat minor wounds, encourage healing and prevent infection. Great for acne prone skin doesn’t dry out or peel, gentle on skin. Sweet Orange Essential Oil (Citrus Aurantium) Orange essential oil is great for nourishing dry, irritated or acne prone skin. Supports collagen formation in the skin, provides quick and effective relief from inflammation. Organic Palm Oil (Sodium Palmate) Palm oil has the ability to remove oil and dirt from the skin, however it contains a beneficial fatty agent that helps restore skins natural oils. Its used in skin care products for anti- aging properties while providing deep moisture which leaves the skin soft and supple. Castor Oil (Sodium Castorate) Castor oil fights off infection while having great anti-viral properties. It is an excellent anti-oxidant and contains compounds which help fight effects of aging. It can be used to cleanse, moisturize, soothe irritation and soften the skin. Avocado Oil (Persea Gratissima) Avocado oil is rich in vitamins and absorbs easily in skin. It is suitable for all skin types, relieves itching from psoriasis and eczema while softening and soothing the skin. Shea Butter (Butysspermum Parkii) Shea butter protects the skin from sun and dehydration, one of the best anti aging agents for your skin. It stimulates the production of collagen, the youthful scaffolding protein in your skin. It makes skin supple, more alive, nourished and radiant. Apricot Oil (Prunus Armeniaca) Apricot oil absorbs quickly in the skin contains vitamins A and C, suitable for all skin types especially dry and sensitive. Lavender Essential Oil (Lavendula Augustifolia) English Lavender essential oil includes the benefit to heal and accelerate cell growth, its relaxing and relives aches and pains. Supports the process of healing eczema, acne, bruises, stings and insect bites. Organic Palm Oil (Sodium Palmate) Palm oil has the ability to remove oil and dirt from the skin, however it contains a beneficial fatty agent that helps restore skins natural oils. It is used in skin care products for anti- aging properties while providing deep moisture which leaves the skin soft and supple. Rose Geranium Essential Oil (Pelargonium Graveolens), Rose Geranium relives depression and anxiety and is used to uplift sluggish and oily skin. Its antiseptic properties help with burns, wounds and other skin problems. Castor Oil (Sodium Castorate) Castor oil fights off infection while having great anti-viral properties. Its an excellent anti-oxidant and contains compounds which help fight effects of aging. It can be used to cleanse, moisturise, soothe irritation and soften the skin. Rose Geranium Essential Oil (Pelargonium Graveolens) Rose Geranium relives depression and anxiety and is used to uplift sluggish and oily skin. Its antiseptic properties help with burns, wounds and other skin problems. 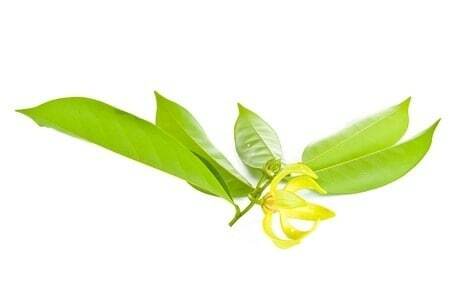 Ylang Ylang (Cananga Odorata) Ylang ylang is very relaxing if you have anxiety or stressed. It balances oily and acne prone skin. 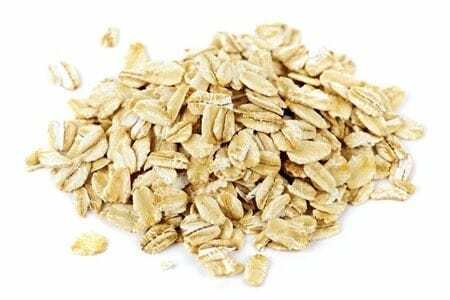 Organic Oats (Avena Sativa) Oatmeal calms and nourishes as it has anti-inflammatory properties. It isgreat for all skin types, especially sensitive skin. A natural exfoliator, it helps remove dead skins cells. Organic Palm Oil (Sodium Palmate*) – Palm oil has the ability to remove oil and dirt from the skin, however it contains a beneficial fatty agent that helps restore skins natural oils. It is used in skin care products for anti- aging properties while providing deep moisture, which leaves the skin soft and supple. Organic Coconut Oil (Sodium Cocoate*) – Coconut oil is an effective moisturizer on all skin types, including dry skin. It is a safe solution for preventing dryness or flaking of the skin. It also delays the appearance of wrinkles and aging skin. Water (Aqua) – Water is hydrating. It also rejuvenates and brightens skin. Natural Glycerin – Glycerin is used on all skin types, it especially helps treat oily skin that’s prone to acne or wrinkles. Very moisturising while stimulating and rejuvenating skin cells. Salt (Sodium Chloride) Salt helps to remove dead skin particles, tones up the skin tissues, encourages blood circulation, and helps in skin renewal. Citric Acid (Sodium Citrate) Citric acid is good for treating several skin problems like mild acne, clogged pores, pigmentation and dark spots. It also has an antioxidant that reduces the process of aging. Organic Palm Oil (Sodium Palmate*)- Palm oil has the ability to remove oil and dirt from the skin, however it contains a beneficial fatty agent that helps restore skins natural oils. It is used in skin care products for anti- aging properties while providing deep moisture, which leaves the skin soft and supple. Organic Coconut Oil (Sodium Cocoate*) Coconut oil is an effective moisturizer on all skin types, including dry skin. It is a safe solution for preventing dryness or flaking of the skin. It also delays the appearance of wrinkles and aging skin. Glycerin* Glycerin is used on all skin types especially helps treat oily skin that’s prone to acne or wrinkles. Very moisturising while stimulating and rejuvenating skin cells. English Lavender Oil (Lavendula Angustifolia) English Lavender essential oil includes the benefit to heal and accelerate cell growth. It is relaxing and relieves aches and pains. Supports the process of healing eczema, acne, bruises, stings and insect bites. Water (Aqua) Water is hydrating, it also rejuvenates and brightens skin. English Lavender Oil (Lavendula Angustifolia) English Lavender essential oil includes the benefit to heal and accelerate cell growth. It is relaxing, and relieves aches and pains. Supports the process of healing eczema, acne, bruises, stings and insect bites. English Rosemary Leaf Essential Oil (Rosmarinus Officinalis) Rosemary is filled with nutrients such as iron, calcium, vitamins and antioxidants, its suitable for all skin types. Rehydrates and tones, replaces damaged skin tissue. Organic Palm Oil (Sodium Palmate)- Palm oil has the ability to remove oil and dirt from the skin, however it contains a beneficial fatty agent that helps restore skins natural oils. It is used in skin care products for anti- aging properties while providing deep moisture which leaves the skin soft and supple. 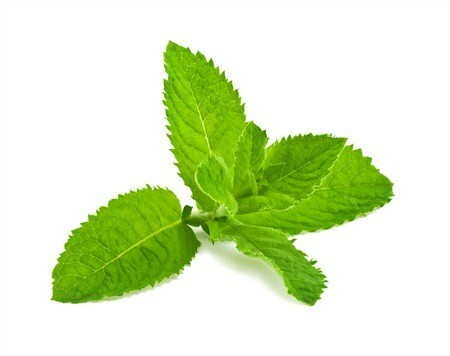 English Peppermint Essential Oil (Mentha Piperita) Peppermint essential oil will boost your energy, treat acne prone skin and relieve headaches. Suitable for both oily and dry skin. Poppyseeds (Papaver Somniferum) Poppy seeds are a good source of unsaturated fatty acids as well as minerals like calcium, zinc and magnesium. A good exfoliator, which removes dead skin cells. Salt (Sodium Chloride Salt helps to remove dead skin particles, tone up the skin tissues, encourages blood circulation, and helps in skin renewal. Organic Palm Oil (Sodium Palmate) Palm oil has the ability to remove oil and dirt from the skin, however it contains a beneficial fatty agent that helps restore skins natural oils. It’s used in skin care products for anti- aging properties while providing deep moisture, which leaves the skin soft and supple. English Organic Oats (Avena Sativa) Oatmeal calms and nourishes as it has anti -inflammatory properties. Its great for all, skin types especially sensitive skin. A natural exfoliator, it helps remove dead skins cells. Organic Palm Oil (Sodium Palmate) -Palm Oil has the ability to remove oil and dirt from the skin, however it contains a beneficial fatty agent that helps restore skins natural oils. It is used in skin care products for anti- aging properties while providing deep moisture, which leaves the skin soft and supple. Organic Coconut Oil (Sodium Cocoate)- Coconut oil is an effective moisturizer on all skin types, including dry skin. It is a safe solution for preventing dryness or flaking of the skin. It also delays the appearance of wrinkles and aging skin. Water (Aqua)- Water is hydrating. It also rejuvenates and brightens skin. English Lavender Oil (Lavandula Angustifolia)- English Lavender essential oil includes the benefit to heal and accelerate cell growth, it is relaxing and relieves aches and pains. Supports the process of healing eczema, acne, bruises, stings and insect bites. 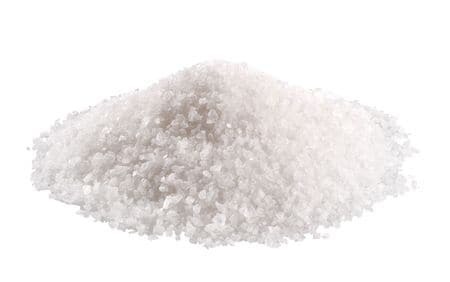 Salt (Sodium Chloride)- Salt helps to remove dead skin particles, tones up the skin tissues, encourages blood circulation, and helps in skin renewal. Citric Acid (Sodium Citrate)- Citric acid is good for treating several skin problems like mild acne, clogged pores, pigmentation and dark spots. It also has an antioxidant that reduces the process of aging. Aqua (Water) -Water is hydrating, and also rejuvenates and brightens skin. Potassium Cocoate* (saponified coconut oil)- Potassium Cocoate is the potassium salt of coconut fatty acid. It is an all natural liquid surfactant made from 100% whole coconut oil and potassium hydroxide. Because of the flash foaming properties of potassium cocoate this product is great for use in liquid soaps, shampoos, and scrubs. Coco-glucoside- Coco Glucoside is a natural, non-ionic, surfactant. It is ultra mild, and one of the gentlest of the cleansing agents, making it ideal for all foaming and cleansing products, especially those designed for fragile or sensitive skin. Glycerin (vegetable, naturally occuring)*- Glycerin is used on all skin types especially helps treat oily skin that’s prone to acne or wrinkles. Very moisturising while stimulating and rejuvenating skin cells. Rose Geranium Essential Oil (Pelagonium Graveolens)- Rose Geranium relieves depression and anxiety and is used to uplift sluggish and oily skin. Its antiseptic properties help with burns, wounds and other skin problems. Potassium Chloride -Potassium chloride is a thickening agent of the oil portion of products. Potassium Citrate (potassium salts)- Potassium Citrate is a buffering agent, which minimizes the change in the PH. Aqua (Water) -Water is hydrating. It also rejuvenates and brightens skin. Potassium Cocoate* (saponified coconut oil) -Potassium Cocoate is the potassium salt of coconut fatty acid. It is an all natural liquid surfactant made from 100% whole coconut oil and potassium hydroxide. Because of the flash foaming properties of potassium cocoate, this product is great for use in liquid soaps, shampoos, and scrubs. Coco-glucoside -Coco Glucoside is a natural, non-ionic, surfactant. It is ultra mild, and one of the gentlest of the cleansing agents, making it ideal for all foaming and cleansing products, especially those designed for fragile or sensitive skin. Glycerin (vegetable, naturally occuring)* -Glycerin is used on all skin types especially helps treat oily skin that’s prone to acne or wrinkles. Very moisturising while stimulating and rejuvenating skin cells. English Lavender Oil (Lavendula Angustifolia) -English Lavender essential oil includes the benefit to heal and accelerate cell growth, it is relaxing and relives aches and pains. Supports the process of healing eczema, acne, bruises, stings and insect bites. Potassium Chloride- Potassium chloride is a thickening agent of the oil portion of products. Water (Aqua) Water is hydrating and also rejuvenates and brightens skin. Coconut Oil (Potassium Coocate*) Coconut oil is an effective moisturizer on all skin types, including dry skin. It is a safe solution for preventing dryness or flaking of the skin. It also delays the appearance of wrinkles and aging skin. Sugar (Sucrose*) Sugar is a natural humectant, which means it draws moisture from the environment into the skin. Helps hydrate your skin and keep moisture within. It is used as an exfoliant to remove dead skin cells and leave skin glowing. 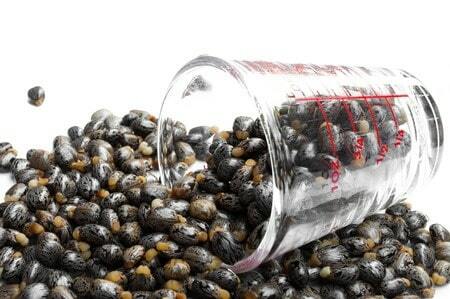 Castor Oil (Potassium Castorate*)- Castor oil fights off infection while having great anti-viral properties. Its an excellent anti-oxidant and contains compounds which help fight effects of aging. It can be used to cleanse, moisturise, soothe irritation and soften the skin. Palm Oil (Potassium Palmate*) Palm oil has the ability to remove oil and dirt from the skin, however it contains a beneficial fatty agent that helps restore skins natural oils. Its used in skin care products for anti- aging properties while providing deep moisture which leaves the skin soft and supple. Glycerine -is used on all skin types especially helps treat oily skin that is prone to acne or wrinkles. Very moisturising while stimulating and rejuvenating skin cells. 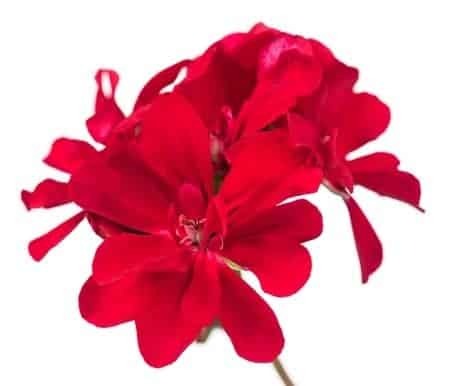 Rose Geranium Essential Oil (Pelargonium Graveolens) Rose Geranium relieves depression and anxiety and is used to uplift sluggish and oily skin. It is antiseptic properties help with burns, wounds and other skin problems. Coconut Acid Coconut Acid is a mixture of fatty acids derived from coconut oil, which is used as a cleansing agent. 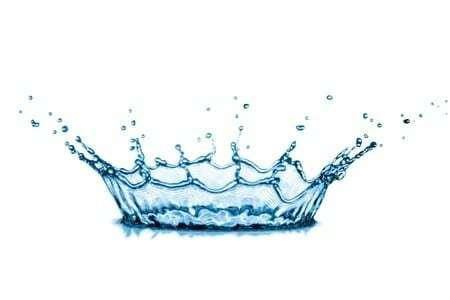 Water (Aqua)- Water is hydrating, it also rejuvenates and brightens skin. Coconut Oil (Potassium Cococate*) Coconut oil is an effective moisturiser on all skin types, including dry skin. It is a safe solution for preventing dryness or flaking of the skin. It also delays the appearance of wrinkles and aging skin. Sugar (Sucrose*)- Sugar is a natural humectant, which means it draws moisture from the environment into the skin. Helps hydrate your skin and keep moisture within. It is used as an exfoliant to remove dead skin cells and leave skin glowing. Castor Oil (Potassium Castorate*)- Castor oil fights off infection while having great anti-viral properties. It is an excellent anti-oxidant and contains compounds, which help fight effects of aging. It can be used to cleanse, moisturize, soothe irritation and soften the skin. Palm Oil (Potassium Palmate*)- Palm oil has the ability to remove oil and dirt from the skin, however it contains a beneficial fatty agent that helps restore skins natural oils. It is used in skin care products for anti- aging properties while providing deep moisture, which leaves the skin soft and supple. Glycerine- Glycerine is used on all skin types especially helps treat oily skin that’s prone to acne or wrinkles. Very moisturising, while stimulating and rejuvenating skin cells. Lavender Essential Oil (Lavendula Angustifolia) -English Lavender essential oil includes the benefit to heal and accelerate cell growth, its relaxing and relives aches and pains. Supports the process of healing eczema, acne, bruises, stings and insect bites. Lauryl Glucoside- Lauryl glucoside is a non-ionic surfactant that can be used as a foaming agent, conditioner or emulsifier. Lauryl glucoside has excellent foaming capacity and good dermatological compatibility. Cocamidopropyl Betaine -Cocamidopropyl Betaine is very mild co-surfactant, good cleanser and foam booster. It is a viscosity enhancer, excellent conditioner and anti static agent. Helianthus Annuus (Sunflower) Seed Oil * -Sunflower seed oil has anti- inflammatory properties, it is rich in linoleic acid. These essential fatty acids maintain the skin barrier and lock in moisture. Glycerine * -Glycerine is used on all skin types especially helps treat oily skin that’s prone to acne or wrinkles. Very moisturising while stimulating and rejuvenating skin cells. Pelargonium Graveolens (Rose Geranium) Oil -Rose Geranium relieves depression and anxiety and is used to uplift sluggish and oily skin. Its antiseptic properties help with burns, wounds and other skin problems. Citric Acid-Citric acid is good for treating several skin problems like mild acne, clogged pores, pigmentation and dark spots. It also has an antioxidant that reduces the process of aging. Aloe Barbadensis (Aloe Vera) Leaf * -Aloe Vera is full of nutrients and used to treat many skin conditions such as burns, wounds and dry or flaky skin. It acts as a moisturiser. Water (Aqua) Water is hydrating, and also rejuvenates and brightens skin. Cocamidopropyl Betaine- Cocamidopropyl Betaine is very mild co-surfactant, good cleanser and foam booster. It’s a viscosity enhancer, excellent conditioner and anti static agent. 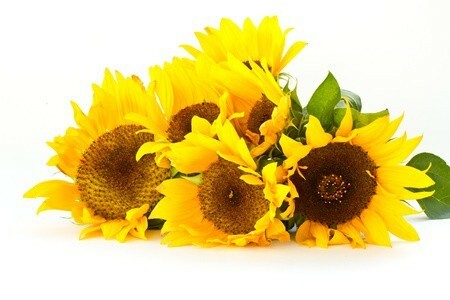 Sunflower Seed Oil (Helianthus Annuus)* Sunflower seed oil has anti -inflammatory properties, its rich in linoleic acid. These essential fatty acids maintain the skin barrier and lock in moisture. Glycerine * Glycerine is used on all skin types especially helps treat oily skin that’s prone to acne or wrinkles. Very moisturising while stimulating and rejuvenating skin cells. English Lavender (Lavandula Angustifolia) Oil -English Lavender essential oil includes the benefit to heal and accelerate cell growth, its relaxing and relieves aches and pains. Supports the process of healing eczema, acne, bruises, stings and insect bites. Aloe Barbadensis (Aloe Vera) Leaf *- Aloe Vera is full of nutrients and used to treat many skin conditions such as burns, wounds and dry or flaky skin. It acts as a moisturiser.